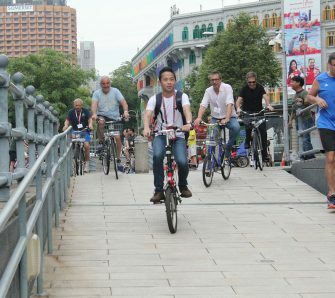 TourAbout Singapore is a series of tours about the sunny island of Singapore provided by YAFI Pte Ltd, a company incorporated in Singapore and licensed by the Singapore tourism board to provide tour services. Standing for “You Ask For It”, YAFI was formed to provide quality tours that tells the Singapore STORY in a deep and meaningful yet fun way. Our founding members grew up in the sixties and were part of the development of Singapore throughout their entire lives – in turn, these fond memories of ours are shared with you through our tours. YAFI tours focus on the historic milestones of our Singapore heritage, from the olden days of Singapura to the colonial era, and from the strife and conflicts during the Second World War to our struggle for independence and thereafter, the development of Singapore. We recount to you the personal stories that have been passed down for generations, stories which have never been recorded in the history books and that are tied closely to our experiences and perspectives while we were growing up. Singapore is a country of diversity and a melting-pot of people from different ethnicity and cultures. When you join us on a tour, we will show you the hidden gems and let you See, Hear, Touch, Smell and Taste the richness of Singapore. Experience our tours in a variety of ways by either walking, cycling, public transportation or through a private charter on a bus or car. We also provide concierge tours specially curated to your preferences to give you a unique personal experience about our lovely country Singapore. YAFI Pte Ltd was founded by Leo Loo with several friends. Leo Loo was a corporate man who spent his career as the fixer – the man that got things done in the company – having held positions in various departments ranging from finance to operations and sales. In 2013, Leo traded his business shirt and leather shoes for a t-shirt and a pair of comfortable walking shoes. He became a tourist guide and pursued a career to bring bus loads of tourist to attractions in Singapore. 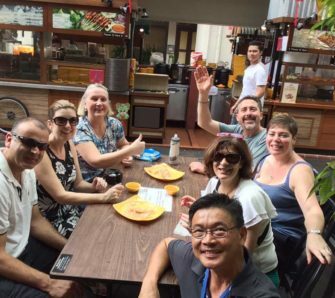 One of the assignments that came his way was to conduct a food tour in Chinatown; Leo was the only guide for the tour which at one time was ranked fourth in Tripadvisor for things to do in Singapore. 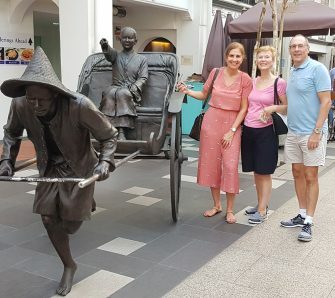 The experience during these food tours taught Leo that visitors to Singapore are looking to learn the secrets of Singapore of how she became a success, much more than merely sightseeing the tourist attractions. Hence, YAFI was formed to cover these specialised tours that go much deeper into our history and intricacies – we bring you Singapore’s past and present in a series through our TourAbout Singapore tours. Uncover our rich history stretching the last 700 years to the success of Singapore today, and experience our wide cosmopolitan diversity as you immerse yourself in our multi-racial and multi-religious society with everyone living in harmony, to understand the unity in our diversity. Join us and sign up for our tours at TourAbout Singapore and be enraptured by our passionate stories of Singapore!